TOLEDO, USA -- The freedom that Americans take for granted, Ukrainians are dying to experience. At least 6,100 people have lost their lives fighting a year-old Russian-backed insurgency in Ukraine’s eastern regions. If you are of Ukrainian or Slavic heritage, you might be peripherally interested in the liberties and lives Russia is taking in Ukraine. Otherwise, what is happening there is probably the farthest thing from your mind. Yet as you read this, think of the young Ukrainians who ache for freedom. Unstable, corrupt, economically crippled, and ill equipped to defend itself, Ukraine makes easy prey for a mighty military assault advanced by Russia. Russian President Vladimir Putin aims to expand his power and influence by acquiring territory. He invaded the sovereign nation of Ukraine with impunity. Timid Europe, dependent on Russian energy, is in denial about the Russian expansionism in its backyard. War-weary Americans don’t have the will to get involved. Ukraine doesn’t have a fighting chance to win. It can’t withstand a full Russian-incited invasion without urgent outside intervention. 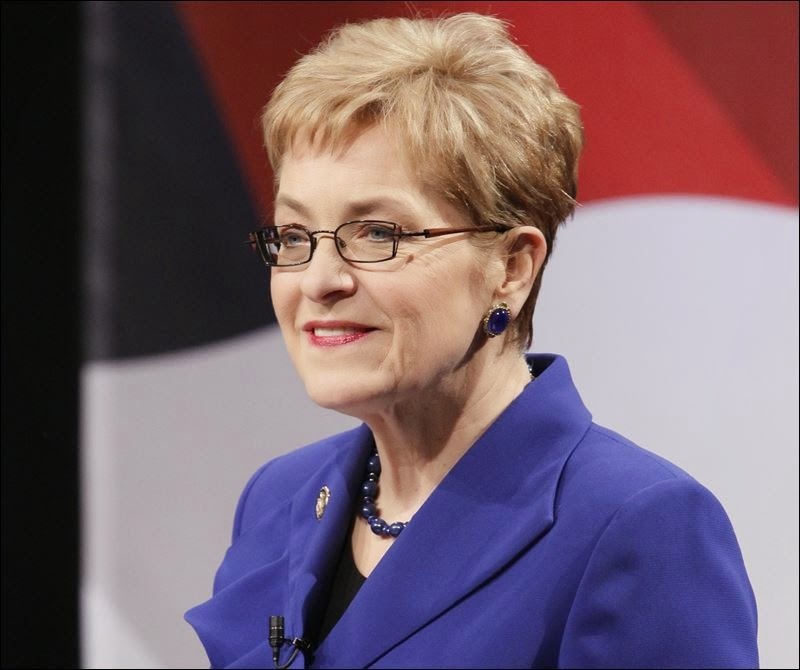 “I blame Europe for letting Ukraine hang in the basket for two decades,” said U.S. Rep. Marcy Kaptur (D., Toledo). It’s personal for Ohio’s 9th Congressional District representative, whose grandparents emigrated from Ukraine in the early 1900s. It’s personal for me too, because I have relatives in neighboring Slovakia. Last month, Miss Kaptur traveled to Kiev with other high-ranking members of the House Defense Appropriations Subcommittee. The delegation met with key Ukrainian officials, including President Petro Poroshenko, and top military leaders. The Americans were there to determine what is necessary to help reverse Russian penetration of Ukraine. “The need for everything was immediate,” said Miss Kaptur, who has been pushing for arms supplies to the country. “There were deaths occurring on the eastern front while we were there, and the president begged us to intervene with our government,” Miss Kaptur said. Miss Kaptur considers the highly educated and extraordinarily wealthy businessman a strong president. “He has a deep conviction about Ukraine’s independence that is very palpable, very apparent,” she said. Mr. Poroshenko could be living in the lap of luxury, Miss Kaptur added. But instead, he’s fighting on the front lines for the country he loves. “Ukraine has never known freedom,” Miss Kaptur said. But, she added, Russia is complicating matters by infiltrating government structures, media, and the military in Ukraine. But Ukraine needs defensive aid to protect her borders with Russia — now. “I think this president [Mr. Poroshenko] has to deliver a major address to the world and ask for those countries that are willing to help him secure that eastern edge [of Ukraine],” Miss Kaptur said. “He has to ask for [peacekeeping forces] to patrol borders, conduct flyovers, and prevent further aggression by the Russians. “He has to stand with presidents of other countries, including President Obama, and plead for security assistance,” she said. “The older people are just beleaguered and worn down,” Miss Kaptur observed. Still, she said, they feel abandoned. “Who defends liberty?” Miss Kaptur asked.